"If I were a singer, I'd sing a merry song. If I were a dancer, I'd dance a merry jig. All the crisp, cool joy of linen without any of the bothersome crinkling? Surely it's too good to be true!" 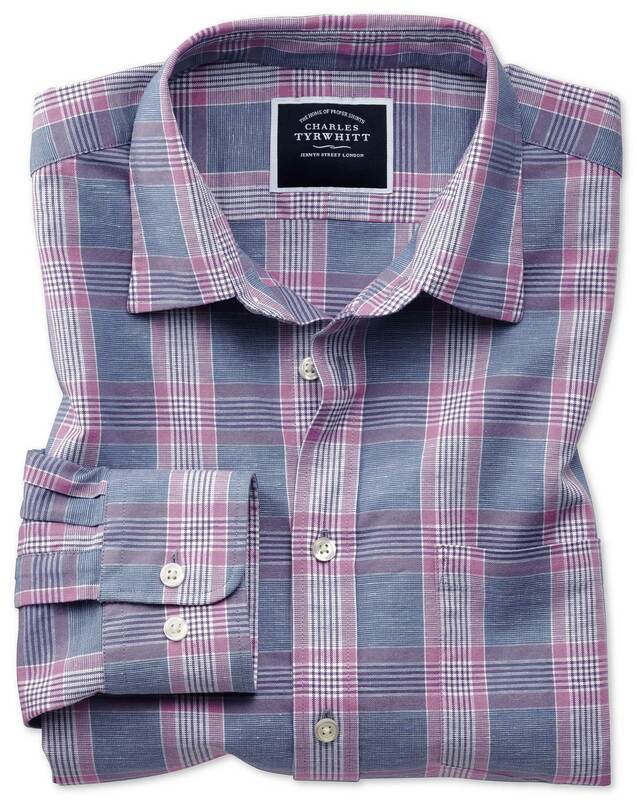 "This cotton linen blend is a naturally breathable yet durable fabric. The cotton content helps to reduce the creasing associated with linen." I know the Classic fit shirts will be good because I have bought many for my husband. I can only give a rating on the Slim fit shirts when my son in law tries them on. The quality and fit is extremely good. My partner is very pleased and will continue to purchase from this company.